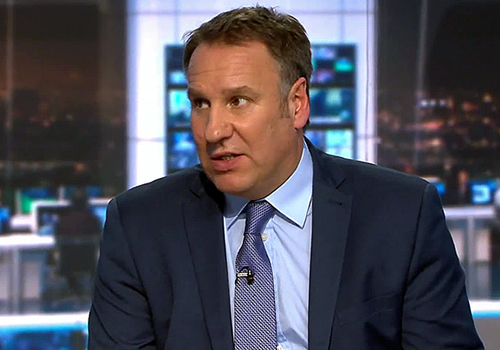 Paul Merson believes Liverpool FC are more solid when James Milner is in their team. The retired England international produced a brilliant performance alongside Jordan Henderson and Alex Oxlade-Chamberlain in the first leg of their Champions League quarter-final last week. The trio provided the Liverpool FC team with a platform to secure a commanding 3-0 lead in the first leg at Anfield following goals from Mohamed Salah, Roberto Firmino and Oxlade-Chamberlain. Former Manchester City midfielder Milner got the better of his rivals Kevin De Bruyne and David Silva to prevent the Citizens from registering a shot on target on Merseyside. Liverpool FC signed Milner in a free transfer from Manchester City in the 2015 summer transfer window under Klopp’s predecessor Brendan Rodgers. The German head coach has placed his faith in Milner despite the ex-Leeds man being something of an unsung hero in the Liverpool FC team. But Arsenal legend Merson was keen to highlight the 31-year-old’s valuable contribution to the Liverpool FC side. Klopp used Milner in an unorthodox left-back role throughout the 2016-17 due to Alberto Moreno’s erratic performances in the full-back role. Liverpool FC are in third place in the Premier League table but level on points with Tottenham Hotspur.